Professional User Interface – wizards help you to easily find and use the extensive set of modelling functions. Extensive Feature Set – 3DSOM Pro includes a host of features for building 3D surface geometry from silhouettes (masked photos) and stereo (via a “point cloud”). A powerful set of geometry editing tools are included to refine the results. A texture map can bee built automatically and interactively edited for fine control. The models can be exported in standard formats or published as web pages on your website or in the cloud. Automated masking capability – (see Masking the images section in the online User Guide). Interactive threshold selection for automatic masking – (see Fine tuning the automasking section in the online User Guide ). Lets you quickly find a good threshold for automatically cutting out the object shape. Magic edge highlighter tool for semi-automatic masking (see Using the Magic Highlighter masking tool section in the online User Guide). Just highlight the object edges and let 3DSOM Pro do the rest. Complete set of manual masking tools including fill tool, polygon tool, circular brush tool, square brush tool. See Reference: The Edit Masks Window section in the online User Guide. Snap to edge smooth curves – An additional masking tool for defining a boundary curve for fill operations. The curve can be “snapped” to the image to allow fast and accurate masking of images taken without a clean backdrop. Support for 3rd party mask editing via 4 channel TIFF and PNG suitable for Adobe PhotoShop and JASC Paint Shop Pro. (see Editing the masks in an external application section in the online User Guide). 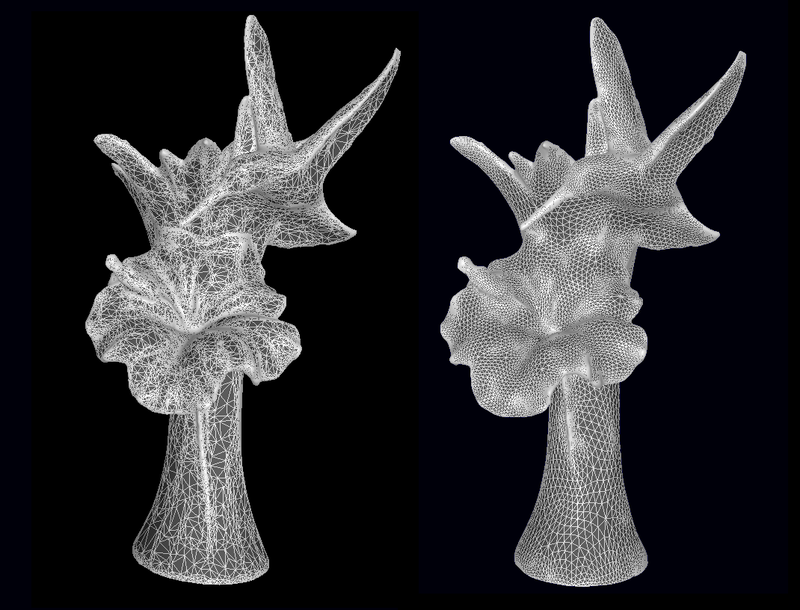 Fast precise wireframe generation – retains the 3DSOM patented “shape-from-silhouette” engine, with no voxel grid aliasing. Point Cloud Generation – Using our powerful structured light solution, a dense 3D point cloud can be captured using multiple cameras and a digital projector. Two or more cameras are used or a single camera can be moved to capture the illuminated object from two positions. The resulting 3D cloud of points can then be used to improve the model using the optimization tool. For highly patterned objects (e.g. natural wood, stone etc.) you will not need to use projected light. This allows the software to handle concave regions that cannot be recovered using silhouettes alone. (See Generating a 3D Point Cloud section in the online User Guide). Surface Optimisation Intelligently smooths away artefacts in the silhouette-based geometry without compromising accuracy. 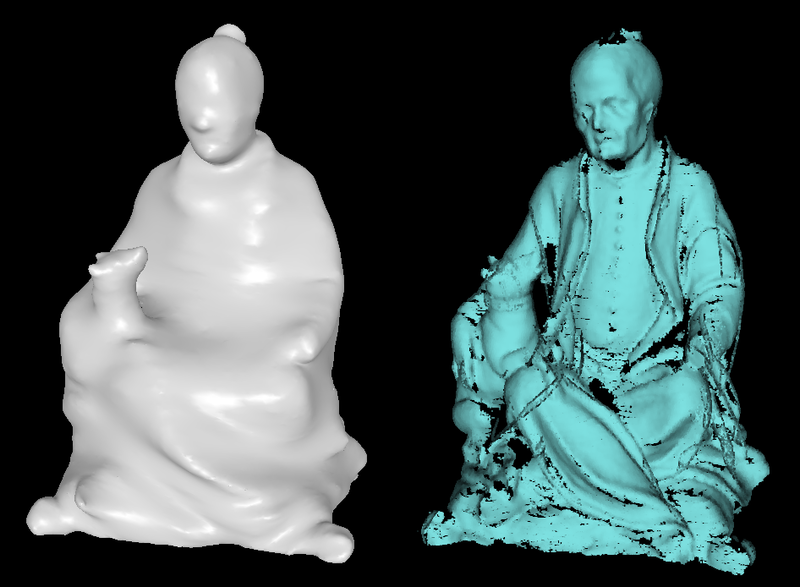 Also improves model accuracy to fit point cloud data if available. Allows much more accurate relighting for added realism. (See Optimising the surface geometry section in the online User Guide). Subdivision Surface fitting – automated fitting of a smooth subdivision surface for unbelievable geometry compression and additional improvements to the surface appearance. (See Improving the geometry with subdivision surfaces section in the online User Guide). Model a part of a complex object -Using a set of photographs of a complicated object (e.g. a camera), 3DSOM Pro allows a single textured part (e.g. the camera body) to be modelled separately. This can result in substantially improved model quality. Integration with existing 3D modelling packages – Edit or create the surface geometry in a standard 3D modelling package. Then import back to 3DSOM Pro for texturing. Large meshes can be imported in STL, OBJ or 3DS formats for automatic texturing from photographs. Interactive mesh decimation to reduce polygon count to required level. Interactive Geometry Editing: A range of 3D editing tools are included to allow the 3D surface to be easily modified. These include smoothing or optimising a defined region, flattening a region, push or pulling the surface, cutting out extruded regions and Boolean addition of extruded shapes. (See Interactive Geometry Editing Tools section in the online User Guide). 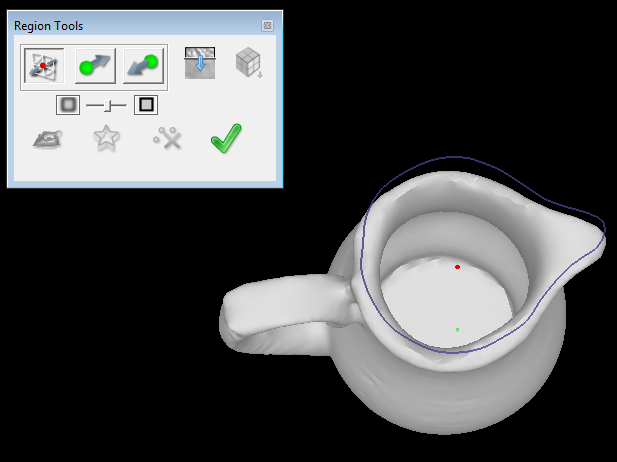 Hollowing out concave regions: In addition to the above tools a sophisticated “hollowing” toolset allows users to easily model bowls, cups, jugs, vases and similar objects which were previously difficult to model using 3DSOM Pro alone. (See Interactive Geometry Editing Tools section in the online User Guide). Lens correction – – Many zoom and wide-angle lenses distort the image so that straight lines appear curved. This can reduce the accuracy of photo based modelers. 3DSOM Pro includes a special module for correcting lens distortion. Now you can build high quality 3D content with any camera lens. 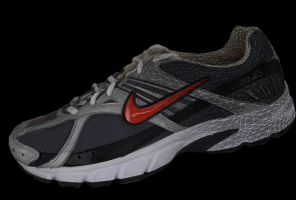 Semi-automatically merge in additional shots using 3DSOM Pro’s patented interface (see Adding texture underneath an object section in the online User Guide). 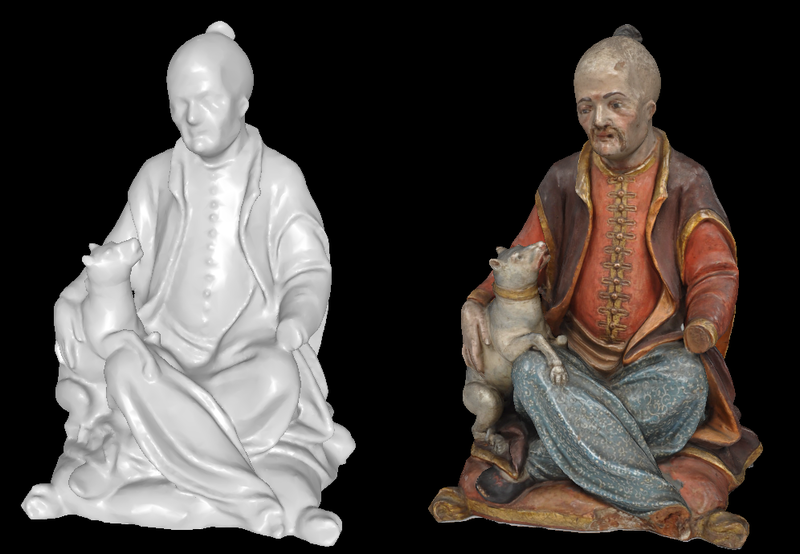 Merge multiple scans – using the alignment wizard to accurately model the underside of the object (see Merging multiple scans section in the online User Guide). Mat printing function to create calibration mats on an ordinary printer at any size. Accepts up to 256 input images per project as JPEG, BMP or PNG. Fully automatic, robust camera calibration to identify camera position and orientation. Support for hardware imaging rigs – fixed camera rig with turntable can be pre-calibrated using the 3DSOM Pro calibration mat. Images can then be repeatedly captured without the need for the printed mat making masking easier. Fully automatic texture map creation – automatic UV unwrap. 3DSOM Pro texture maps are designed for optimal compression. Incremental texture map generation – allows you to watch the process and stop as soon as the desired quality is obtained. (See Adding the surface texture section in the online User Guide). Texture map editing – patented texture editing approach. Rotate the current model, and then paste the rendered view into any image editor to touch up the textures by hand. (See Editing the textures section in the online User Guide). 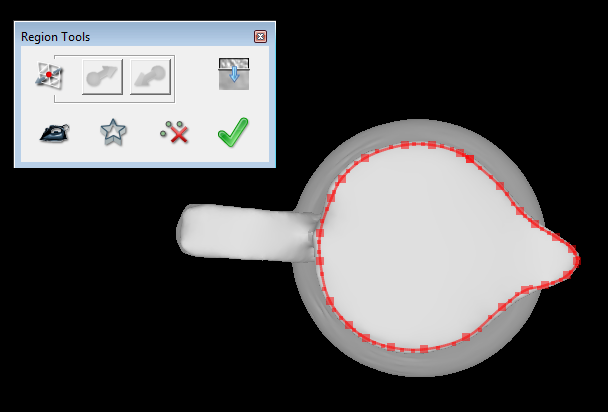 Layered editing 3DSOM Pro can align the copied view with an input image for additional fine control (see Advanced texture editing section in the online User Guide). Texture “Fix” brush – A very simple brush tool is supplied to help fix common texturing glitches using image data from the closest input photograph. The size and softness of the brush can be controlled. (See Spot fixing the textures section in the online User Guide). Instant Texture Preview 3DSOM Pro allows the user to quickly preview the model prior to building any texture maps using the closest input photograph to provide texture (colour appearance) data. This helps when editing the geometry prior to building the final textured mesh. User chosen texture map resolution up to 4096 pixels square. Tone correction option to compensate for exposure differences between images. Output to industry standard formats (including OBJ, COLLADA, 3DS, X3D and STL) for importing into 3D packages such as 3D Studio Max or publishing online (see Exporting the finished model section in the online User Guide). Export in webGL format – all files exported so you can host on your own site. Any digital camera, DSLR recommended. To run on a Mac you will need an Intel based Mac and a copy of Windows. NOTE: 3DSOM Pro has been developed for Windows Operating System so to run on a Mac you need to run Windows under OS X Boot Camp, VMware or install Parallels Desktop.